Mixes well and gets you there! A step up from Captain for sure, Sailor Jerry is a preferred option when I'm looking for a spiced rum. Good not great The price is about right, but it's not as good as people are commenting. 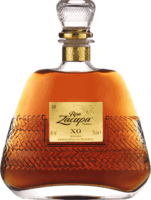 I've had better rums for the same price from other brands. I expected better Not a bad rum to mix a more complex cocktail with. Solid spiced rum Tired of Captain or Sailor? This gives a great alternative. Wonderful flavor To hell with vanilla vodka! This stuff is the best vanilla spirit I've come across. Not great on its own. If this is going into a classy mojito then I could get behind this choice. But by itself? Not worth the asking price. Great for mojitos This is my go to rum for classic mojitos. 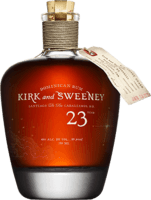 The light aging adds subtle nuances that aren't there when you use another base white rum. Get something different. It's not the worst coconut rum out there, but it's close. There are so many other options these days and you're better off with nearly all of them. 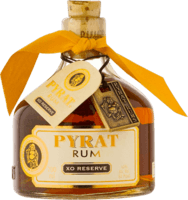 Not the worst As a staple and mass produced rum, it does the job but there are better (cheaper) white rums on the market these days that are now more accessible.